The Friends of Square One Theatre, in conjunction with the Stratford Library, will continue the 14th season of its popular three-part series, “Play It Again, Square One” on Tuesday, March 19 at 12 p.m. The drama discussion series looks at recent productions by Stratford’s Square One Theatre Company and offers patrons the opportunity to explore and discuss aspects of the play they saw. For the March 19 session, Square One Artistic Director Tom Holehan, General Manager Richard Pheneger and cast members will lead a discussion of the theatre’s recent critically acclaimed play, “Clever Little Lies.” Joe DiPietro’s hilarious comedy looks at modern marriage, infidelity, and the secrets shared and buried within the bonds of matrimony. The discussion is free and open to the public. Coffee and tea will be served. 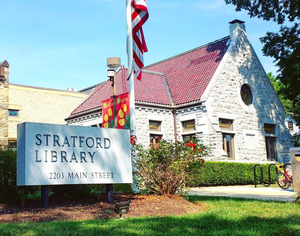 The Stratford Library is located at 2203 Main Street in Stratford, Conn. For more information call (203) 385-4162 or visit stratfordlibrary.org.